Building Information Modelling (BIM) is part of a wider digital innovation that has arrived as an epochal transition in the Architecture, Engineering and Construction (AEC) Industry. Although the benefits of BIM within the supply-side of the industry have been widely explored, its impact on the value for clients and end-users has been researched in a limited manner so far. The paper reviews some of the BIM-related technologies which could effectively support client and end-user involvement in the briefing process. Four main types of information technologies are considered and grouped as (1) rule-based validation tools (i.e. briefing software; rule-based model checking) and (2) simulation-based validation tools (i.e. gamification, immersive virtual environments). Those technologies are analysed and compared in order to identify what has already been done, possible future trends, evaluate their integration in the briefing process and, finally, take into account both their advantages and disadvantages in supporting the effective involvement of the demand-side of construction in digitally-enabled processes. This review paper is part of an ongoing doctoral research project aiming at the digitisation of the briefing process, with a focus on operational requirements and social outcomes. Some of the Information technologies (IT) that could be implemented in order to involve clients and end-users in a BIM-based design process are described. 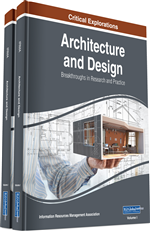 BIM protocols and processes are not within the scope of this paper because the structured integration between them, information technologies, soft landings strategies and the briefing process in each project stage is planned as a next step of the research. The motivation behind the proposed research project deals with the need to consider BIM methods and tools as an effective support to the decision-making process; the focus is on early design phases and the involvement of the demand-side of construction in order to improve building use and benefit operations (Haugbølle & Boyd, 2016; Ashworth et al., 2016). To this end, the main actors taken into account in the paper are clients and end-users. Briefing is meant as the process to manage the dialogue between them and the design team that has to answer to their requirements and needs.